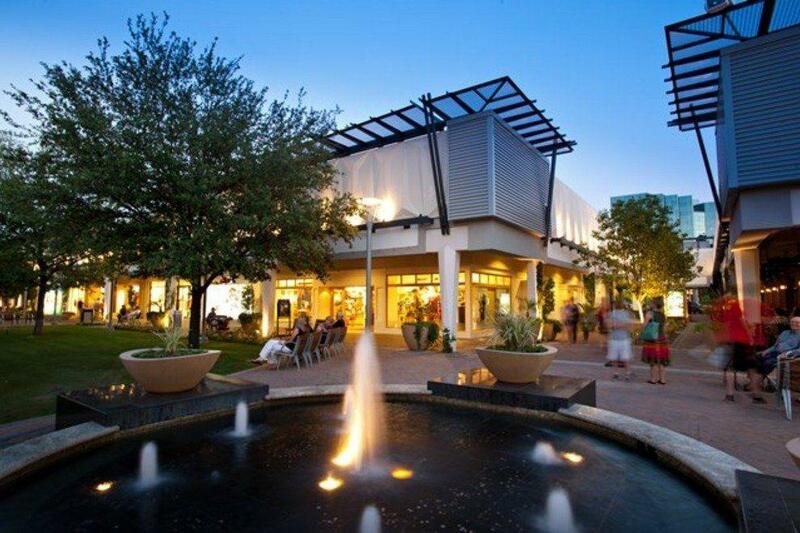 Known as the “crown jewel” because of its regal history and unmatched ambiance, Biltmore Fashion Park is an outdoor shopping experience in a park-like setting and serves as home to some of the finest shopping in Arizona. Anchored by the state’s only Saks Fifth Avenue, even the most sophisticated of shoppers can’t resist the selection of high-end retailers including: Apple, M•A•C Cosmetics, J.Crew, Arhaus, Jo Malone London, lululemon athletica, Brooks Brothers, Jonathan Adler, Macy’s, Pottery Barn, Ralph Lauren and Williams-Sonoma. Delectable dining is around every corner at Biltmore Fashion Park with sensational restaurants like The Capital Grille, True Food Kitchen, Seasons 52 and Stingray Sushi. Biltmore Fashion Park is an unmatched shopping and dining experience that will leave you delighted and yearning to come back for more. Visit the Concierge in the Management Office, or text Concierge at (602) 428-8220 for a complimentary visitor guide and a free Visitor Savings card. Visit Papyrus after business hours and on the weekends.